Full disclosure, I received the above list from another Real Estate agent. I don’t know where she got the numbers from but they all look about right to me. 1. Cleaning and decluttering really doesn’t have to cost you anything, unless you are hiring a cleaning team and getting additional storage. If you are decluttering and cleaning this can be a zero cost item and it will have the biggest impact and will give you the highest return. 2. Same if landscaping, if you have somewhat of a green thumb then go to Lowes or home depot and buy some nice flower pots, mulch and anything else that can give your home curb appeal. 3. Repairing electrical or plumbing for this you will most likely hire a professional, but you can replace and making sure all light bulbs are working. 4. Small kitchen and bathroom upgrades will go a long way. You can upgrade flooring very easily, paint will go a long way too. 5. Clean carpets, this will go a long way. 6. Paint will make your home look great. Neutral paint this is. Paint yourself or hire a professional but this doesn’t have to break the bank either. 7. Repair Floors, I have an excellent flooring guy that you should contact. 8. Paint the exterior, especially your front door, again this doesn’t have to break the bank and will have a great impact. 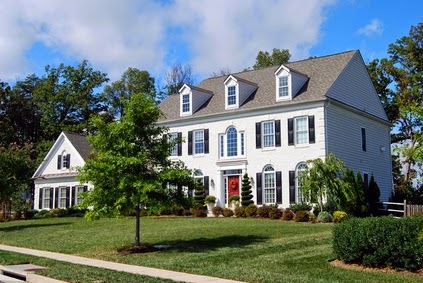 Here are some inexpensive ways of increasing your homes value if you are thinking about selling your Woodbridge VA area home. If you are thinking about selling you should call me today to set up a time for me to view your home. Call 571-446-0002. Interested in more tips on how to increasing your homes value. Here are some great staging tips that will help getting top money for your Woodbridge VA area home. Click here for the best stating tips. This entry was posted in Claudia's Tips, Tips for Home Sellers, Woodbridge Home Values and tagged 8 ways to increase your homes value, Homes for sale in Woodbridge, Woodbridge VA Home Values, Woodbridge VA Real Estate by claudianelson. Bookmark the permalink.